I can’t believe that our 31 Days of Love series is already on day 24!!! That means 3 lovely weeks worth of great Valentines Day Ideas for you already. 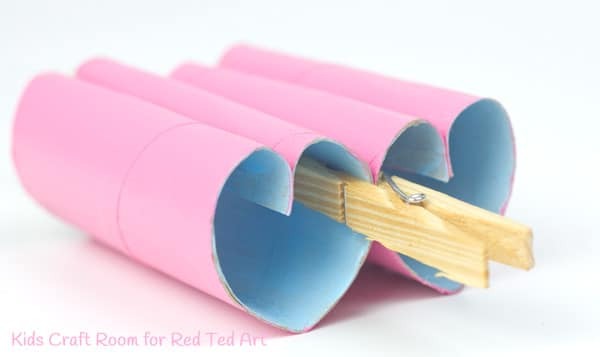 Today, we share another adorable Valentine Craft Ideas for Preschoolers, with these great Heart Binoculars from Emma at Kids Crafts Room. 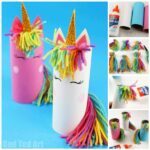 This is a super cute and easy Toilet Paper Roll Craft for kids! 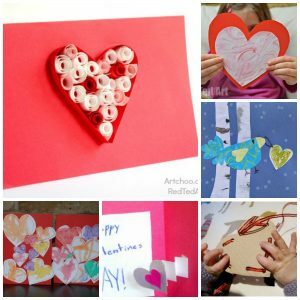 More ideas from years gone by sorted into easy to browse categories here Valentine Day Treats, Valentine Decorations and Valentine Cards for Kids. 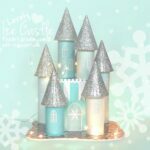 Hello, I’m Emma, a mum, former teacher and avid crafter from Kids Craft Room and it is great to be here joining in with Maggy’s fun 31 Days Of Love series again. I can’t believe it’s my third time participating already, time flies! 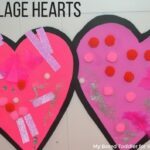 Previous years I shared a fun idea for Secret Message Valentine Cards and some pretty Burlap Heart Bunting. 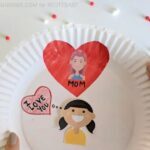 This year I’m showing you a cute Heart Binocular craft that is great fun for toddlers and preschoolers. 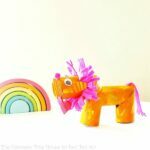 On Kids Craft Room I love to share easy and simple crafts that don’t need lots of fancy materials. 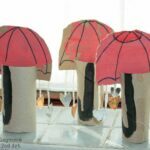 Using things from the recycling bin is my favourite and these heart binoculars are a great way to use up TP rolls. We’ve all got hoards of those haven’t we? 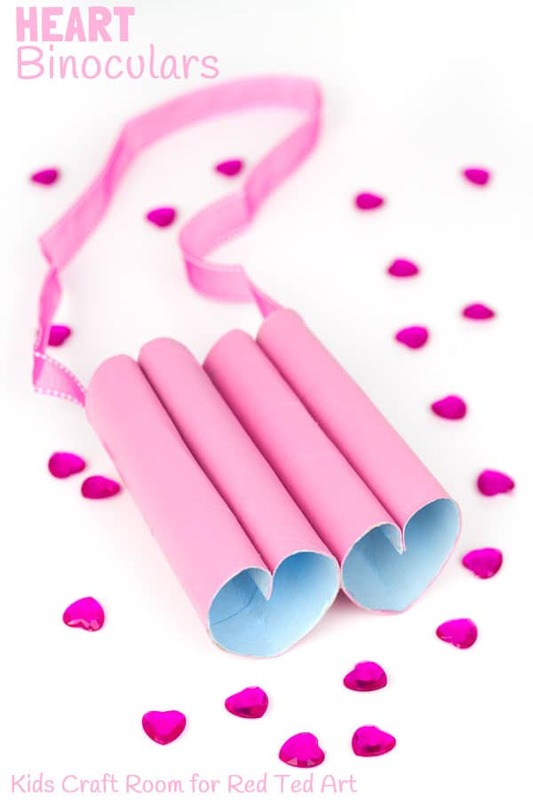 These heart binoculars are fun for Valentine themed imaginative play and a great way to encourage children to search around and spot things to love and care for all year round. It could be their favourite toy, the pet cat, wild birds at the park or spiders in the garden. I bet your children will come up with loads of great things to “love”. 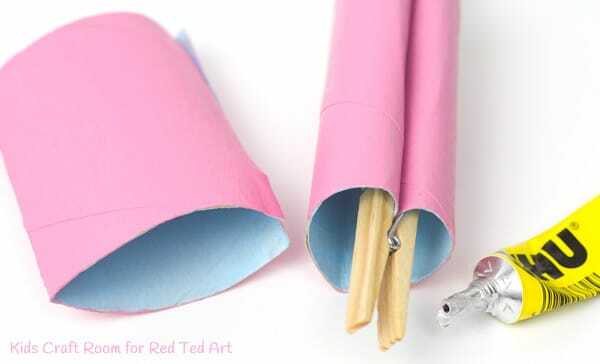 Start by cutting two cardboard tubes down the middle lengthways and then paint them. I used two different colours of paint one for the outside and one for the inside but it’s lovely to let your children decide what colours they love. You might end up with rainbow coloured or green coloured heart binoculars. Anything goes! 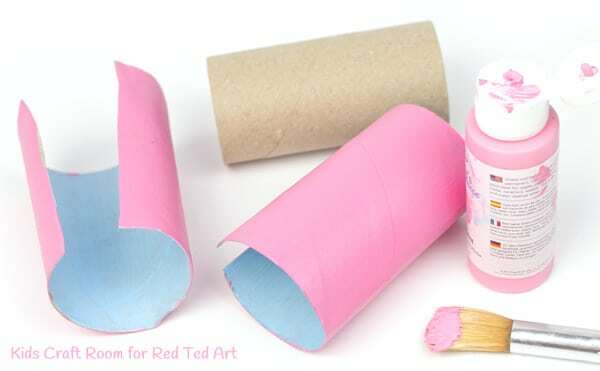 When the paint is completely dry fold the cardboard tubes in half. Then take the two cut lengths and bend them in to meet each other in a heart shape. 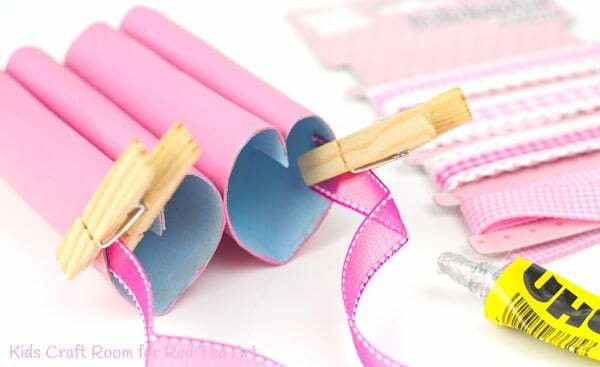 Glue along their length and hold them in place with a couple of clothes pins while the glue dries. 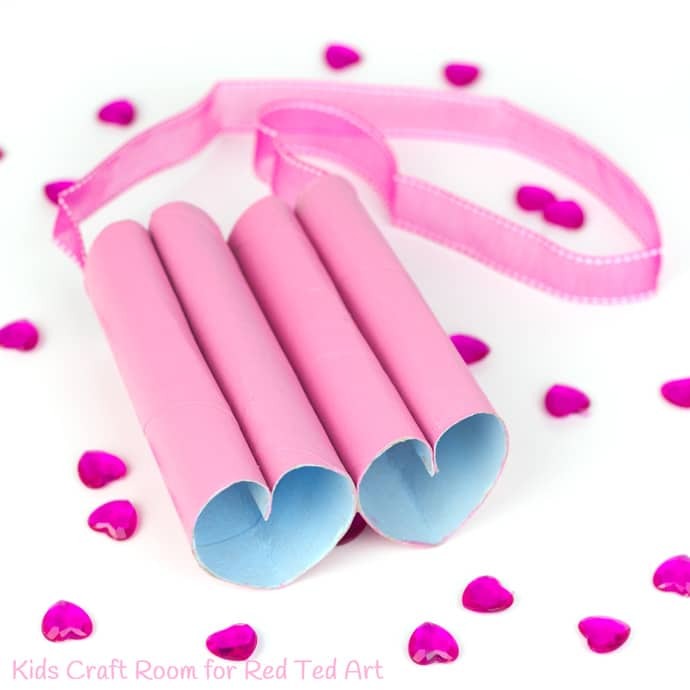 Once your two heart shaped tubes are dry run a line of glue along the length of one and glue them together to make your heart binoculars. Again using clothes pins to hold them in place while the glue sets is super useful. Now your heart binoculars just need a strap so they can been worn and carried easily. Cut a length of ribbon and glue it to each side of the binoculars. Again, use those clothes pins to do the work of holding it while it sets. Ta-dah! Your cute little Heart Binoculars are now ready for seeking out things to love and care for. I hope you and your children have lots of fun with this idea. 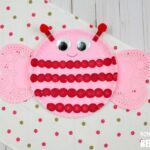 You might also like to try some of these other easy Valentine crafts from Kids Craft Room and do pop and say hello on Facebook, Pinterest, Instagram and Twitter. 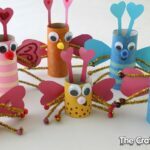 If you enjoyed these oh so cute Toilet Paper Roll Heart Binoculars for kids, you will also love these Valentine Crafts for Preschooler ideas, the best toddler and preschool ideas for valentine’s day all in one place! 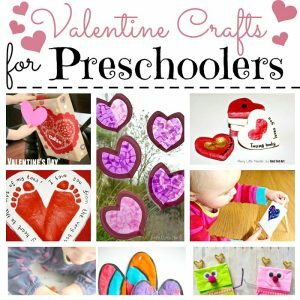 We also have some great Valentine Cards for Kids that I think you will enjoy browsing – with many ideas suitable for preschool too!